Overpressure, IASTM, or various mobilizations may enable a patient to obtain threat free end range with a prone press up; the implication may be that the patient needs the manual technique to get the same results. I was using this simple isometric cross pattern resistance, which worked great to remove that perception of "pinch" or obstruction very well. It especially came in handy when someone's lumbar spine was too sensitized to handle direct contact. 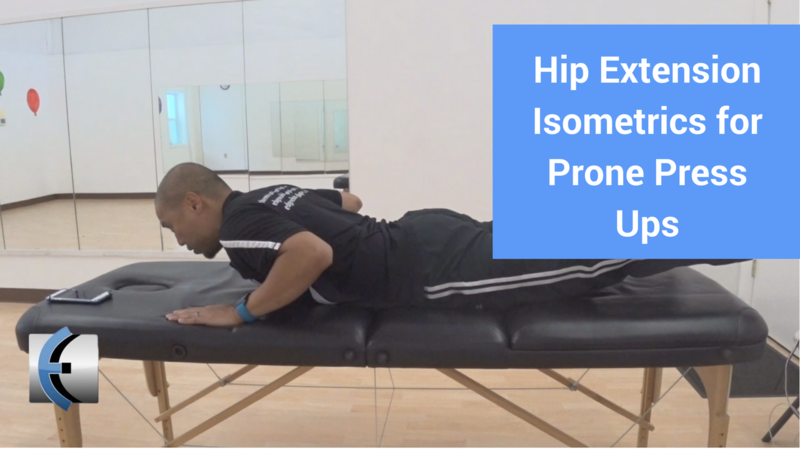 Having a patient try the same isometric without the resistance did not work so well, but I have been experimenting with resisted hip extension, which is easier and doesn't fire the lumbar extensors quite so much. Try it and let me know what results you get!